Are you 18 – 30 years old? 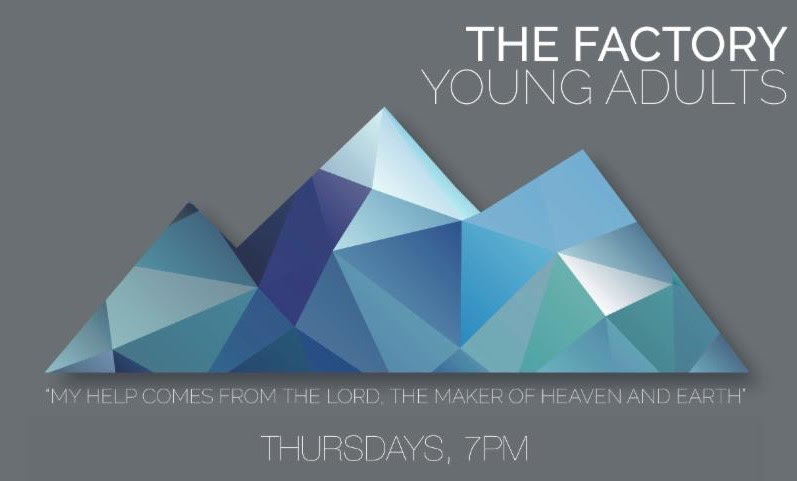 We invite you connect with other young adults at The Factory. Our Young Adults meet on Thursday nights at 7pm in leader’s homes in the community for bible study, community, and connection with others. If you would like to find out more about our Young Adults ministry, or be put on the Young Adults email list and stay up to date on events and locations, register below.